CT2222 - Protective plastic travel case. Works with most audio devices. 48" cord. 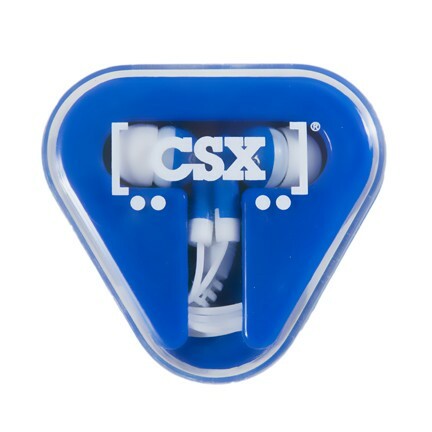 Blue case with white CSX railcar logo.